A big shout out to everyone who has worked on the Texas Safe Passing Bill, HB 962! 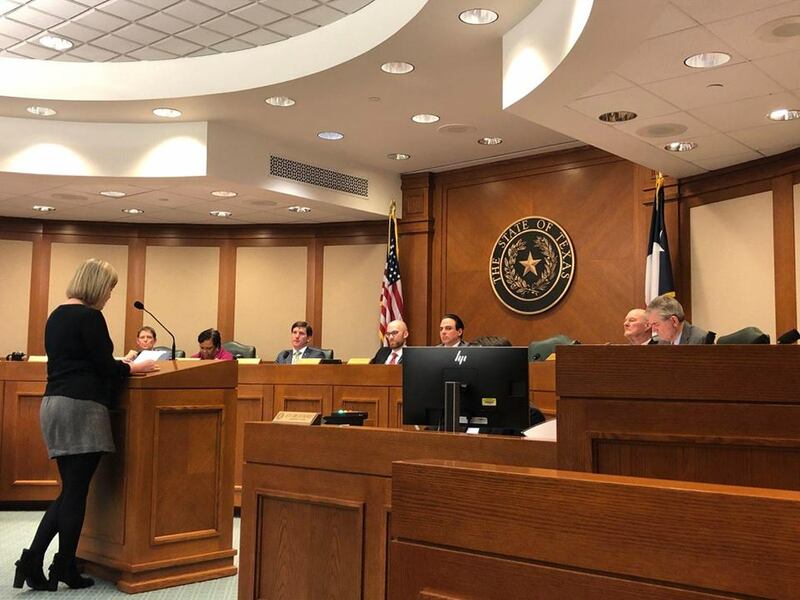 We had a hearing in the Texas House Transportation Committee for HB 962 at the Texas Capitol in Austin on Wednesday, March 6th 2019. This is great news. Representative Rick Miller authored the bill. 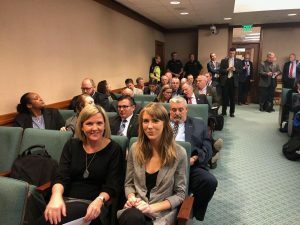 Testifying in favor of the bill were BikeTexas’ Mark Stine and Robin Stallings, as well as Felicia Harvey. Ms Harvey is the daughter of the late Iris Stagner, the much beloved BikeTexas board member, dedicated public servant, and a passionate bicyclist, who was killed in a bicycle crash while riding home from work in 2012. The bill is also supported by Nicole Bullock of Shape up Fort Bend. The next step in the process is a transportation committee vote on the bill so it can move to the Texas House floor. This is the only path forward for a Safe Passing Bill this legislative session. The bill needs your help to stay alive! Right now, we only need folks that are represented by a member of the House Transportation Committee to call or email and ask for a YES vote on HB 962. If you did not received an emailed Action Alert from us, that means we do not have your email and zip code on file to know who your representative is, or your representative is not on the transportation committee. 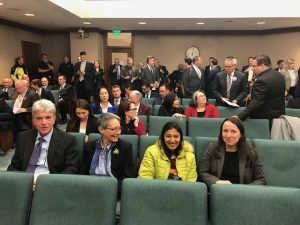 If you live in a transportation committee member’s district and haven’t heard from us, please contact your representative today to ask him or her to vote YES. To be sure you get future action alerts, please sign up for our email list and make sure to include your zip code. Once the Safe Passing Bill reaches the House floor, we will send an email Action Alert to everyone to call their representatives to ask him or her to vote “YES” for HB 962. Please visit the Texas Legislature Online for the text and current status of HB 962 and all other active legislation.